Clinical research is a major issue of public health. Advances in diagnosis and treatment of many diseases have been possible thanks to the participation of many patients and healthy volunteers in clinical trials. The involvement of these healthy volunteers or not is essential but the decision to participate in a clinical trial requires information, discussion and advice. Here is some information on the conduct of clinical trials and your rights. Clinical research aims to develop new drugs, new treatment or diagnostic techniques. For this, trials are realized, in a first time, in the laboratory on animals. Once the effectiveness and the lack of toxicity demonstrated, trials are carried out on human. Then, volunteer patients are asked to participate in clinical trials in compliance with the regulations in force. The trials are conducted in four phases. To learn more about the different phases of clinical trials, click here. Pathology volunteers who participate in a clinical trial linked to their illness, whether for treatment, but also for the diagnosis or prevention. Being major or be under 18 years and parental permission. Benefit from social cover (social security or CMU). Matching of his record with the needs of a study. Taking over of trials by specialists from the relevant disease and experienced doctors, whose skills have been recognized. Details of the trial, expected benefits and drawbacks, as well as entrained constraints. This information is provided by your physician orally, written to lead, after a period of reflection, to the signing of an informed consent form. Ability of any person participating in the trial to leave without justification. Refuse to participate in the test. Leave the trial at any time. Having clear, objective and complete information on the trial and its conditions. Having the assurance of the trial confidentiality and compliance with the CNIL regulations. Be compensated (or your dependents) in case of damage related to the trial. Be informed of the trial results as soon as they become available. You want information on the trials that we are following, find our contact information in the “Contact” section. 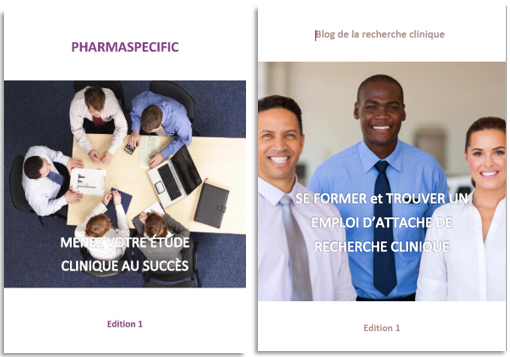 You can also visit the website of Pharmaspecific, www.pharmaspecific.fr and learn more about our activities. Je me pose la question suivante: les ARCs ont-ils le droit de faire partie eux-même de cohort pour des études non gérées par leur structure? L’entreprise pharma, la CRO ou le CHU pour lequel ils travaillent. Je pense que oui, à titre personnel, c’est à ce moment là de l’ordre de la vie privé, je pense.